Pros: Looks. Handling. Weight. Ride. Recommendation: Great do it all bike. XC or AM. It out superflys the superfly. Recommendation: There is no way to describe this bike except for sweet perfection. It is an incredibly smooth ride and shifts easily in any situation. Landing after going over drops felt like landing on a cloud. Cornering? Easy, even for a not-so-experienced rider like myself. It also climbs well, I felt much less tired on a trail that normally takes it all out of me. 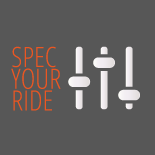 The only problems with the bike are that it is expensive, which really isn't a problem if this is your level of ride, and it may inspire too much confidence in the underprepared rider. If I was made of money I would have a few bikes to round up my collection, I’m not. I saved all winter for this bike. I wanted A bike that would most importantly climb well, with the ability of descending technical singletrack! I also wanted a bike that would work well where I reside in Crested Butte. The first thing I noticed when I got on some single track was the handling. The 15mm thru axle truly is the best new upgrade to this bike even it was a simple upgrade. The next thing was the small bump response. Early season I ride down at Hartman’s Rocks down in Gunnison. If you have ever road there you probably have road the collarbone, which is super wash boarded out! With the DRCV I can comfortably go over them without squeezing on the breaks! Next was how light this bike was! Sure I was looking for a light bike but man was I surprised! On the climbs you can just tell how much lighter this bike is compared to an aluminum bike! In terms of durability of the carbon, I am in no way worried. I’ve already taken a few big diggers and not scratches, cracks, dents, or even paint chips! 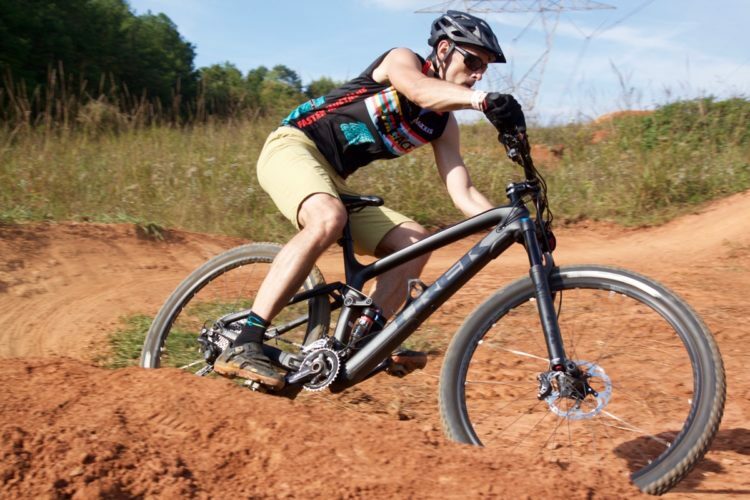 The xtr shadow rear derailleur is simply amazing. The past two years I’ve been riding an SLX rear derailleur, I can safely say I will never go back! The XT shifters and breaks are not all that bad either. The breaks are the exact same as the XTR’s just weights a tad bit more, big woop! Finally I would love to mention trek and Bontragar finally did something right in terms of their tires!!! http://mbaction.com/Main/News/Product_Test_Bontrager_XR4_Team_Issue_TLR_Tires_4968.aspx They remind me of the Nevgals! I have a pair sitting around so once the xr4 teams are thru im going to put them on and compare! All in all this is an amazing all-round bike! There is plenty of travel to still huck but at the same time with the RP3 DRCV this thing climbs like its “her” main job! I did put on some Ergon GA1 Evo Grips, which are carbon bar compatible! This grips really rock on technical descents when you’re really clinching your bars! I also added a 2012-reverb dropper post! 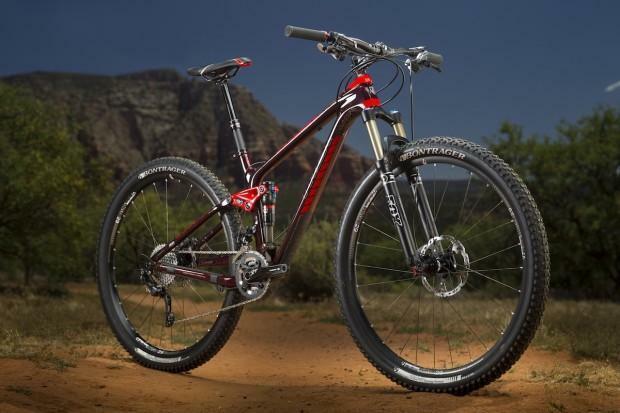 This bike has enough travel to really send it on the downhill’s! The dropper post really makes it fun! Recommendation: This is the best bike I have ever owned. Smooth as silk, climbs like a mtn goat and descends like all mtn bike. The XT Group is great. The DRCV fork & shock work very well to smouth out the small stuff as well as the big hits.I plan to put on a set of Haven Carbon AM wheels to remove rolling weight and a softer set of grips,then the bike will be perfect! My other bikes are trek Top Fuel 9.9, Trek Y Bike 5.0 and an old Stumpjumper. Pros: Good disc brakes. Light weight. Climbs great and descends great. Cons: Handlebars, the suspension didn't feel smooth to me. Recommendation: I rode this before the Rumblefish II Pro. This bike is really nice, but it just didn't feel right. If I had to choose between this one and my current old bike which is a Mongoose, I would stick with my Mongoose. It climbed and descended great. The suspension was dialed in for me but just felt bumpy as ever. The handlebars also felt awkward to me. I was ready to get off this bike. The Rumblefish II Pro, now that is another story, much better, to me though. Trek Fuel EX 9.8 4.67 out of 5 based on 6 ratings. 6 user reviews.